Beautiful updated home nestled in a prestigious neighborhood! 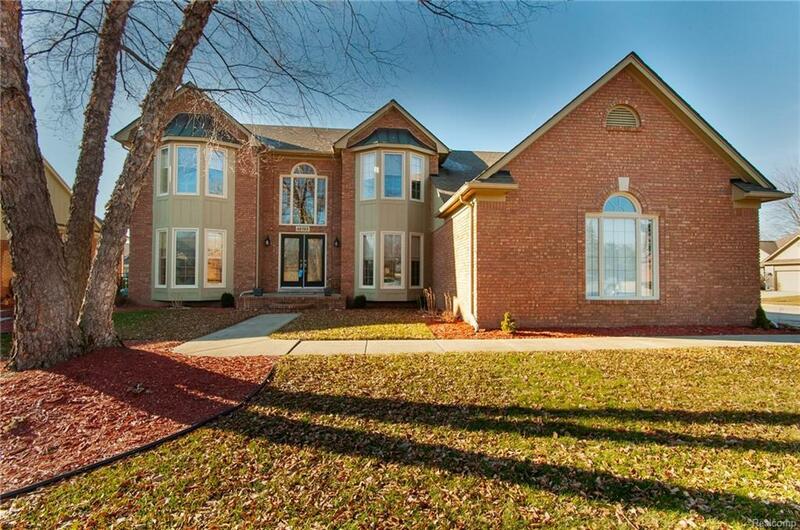 Minutes to Partridge Creek with plenty of shopping, dining, entertainment and nightlife opportunities. Centrally located, between M59 and 21 Mile Rd, minutes to I94 and M53. Updated kitchen opens to the large great room perfect for game/movie nights, overlooks and opens to the gorgeous backyard with the in-ground pool, surrounded by a large tiered brick paver patio perfect for entertaining. Large Master bedroom with a huge walk-in closet the size of a small bedroom and gorgeous master bathroom with separate shower and soaking tub! 3 additional bedrooms also on the upper level. Basement is plumbed for a bathroom and is ready for you to make your dream design come to life. The natural lighting throughout is amazing, no dark rooms here. It truly is a must see! Schedule your private showing today!